ASTM B265 / UNS N56400 / DIN 3.7165. WERKSTOFF NR. 3.7165 Sheets, Plates & Coils, UNS N56400 Sheets and Plates, Titanium Gr 5 Sheets, Titanium Gr 5 Plates, DIN 3.7165 Plates and Coils, ASTM B265 Titanium Gr 5 Hot Rolled Plate, Titanium Gr 5 Coils, Titanium Gr 5 Cold Rolled Sheet, Plates & Coils Supplier in Mumbai, India. Titanium Gr 5 Galvanized Coils, Titanium Alloy Gr 5 Export Polish Sheets, Titanium Gr 5 Foils, Titanium Alloy Gr 5 Polished Plates, Titanium Gr 5 Chequered Plate, Titanium Gr 5 Shim Sheet, Titanium Gr 5 Diamond Plate, Titanium Gr 5 Circle, Titanium Alloy Gr 5 Slitting Coils, Titanium Gr 5 Strip, Plates & Coils Exporter, Titanium Gr 5 Perforated Sheet, Corrosion Resistance Titanium Gr 5 Sheets & Plates, Titanium Gr 5 Plain Sheets. With the advancement of technology as well as the availability of the stunning quality of raw materials Jayesh metal is offering the stunning quality of the item. 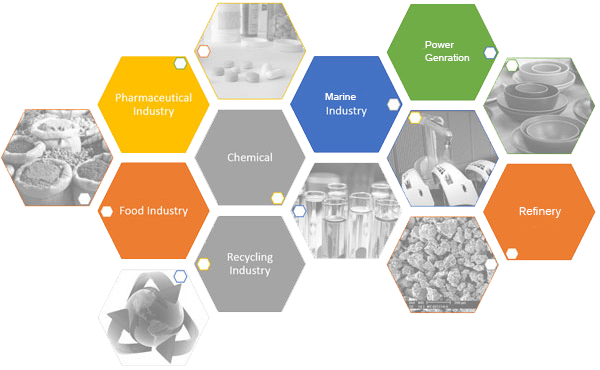 They are following all industry set up guidelines, policies and considering various product standards to bring out exactly what a customer demands. They are making use of only superior quality of raw materials that are being sourced from reliable market vendors. The industry is promising in offering the wide comprehensive range of Titanium Gr 5 Sheets Plates as per the customers’ demands. Several attributes like withstanding heavy loads, high tensile strength, rugged construction, high flexibility, high durability, corrosion and pitting resistance have made it in demand. Respect to both national as well as international product standard the item is supplied at cost effective prices to the buyers. The dimensions of it are ASTM, ANSI, JIS, DIN, EN, BS, GB etc. The specification of it is ASME / ASTM SB 265. The size in which it is available is 1000mm x 2000mm, 2000mm x 4000mm, 1220 x 2440mm, 2000mm x 2000mm, 1500x 3000mm. the thickness of it is 0.1mm to 12mm THK. The forms of it are like blank, flat, shim sheet, plain sheet, strip etc. 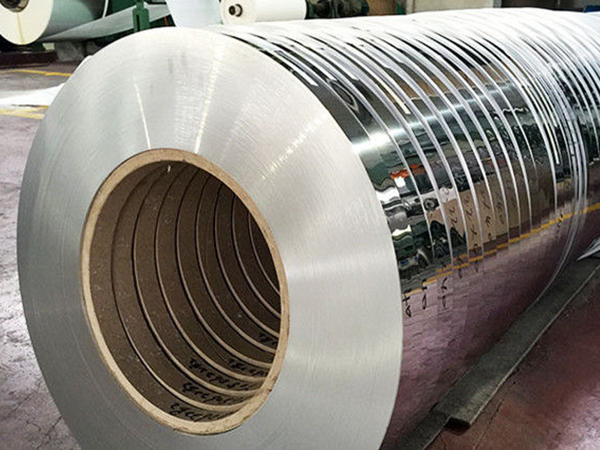 The finishes of it are the cold rolled sheet, hot rolled plate, SATIN, No8, 2D, 2B etc. The hardness of it is soft, spring hard, half hard, hard, quarter hard etc. The Titanium Gr 5 Sheets Plates is undergoing several testing like PMI test, IGC test, flattening test, flaring test, macro test, micro test, hardness test etc to assure superiority in item quality. Coil Width : 1000mm, 1219mm, 1500mm, 1800mm, 2000mm, 2500mm, 3000mm, 3500mm etc. Coil Length : 2000mm, 2440mm, 3000mm, 5800mm, 6000mm etc. Surface : 2B, 2D, BA, NO.1, NO.4, NO.8, 8K, mirror, checkered, embossed, hair line, sandblast, Brush, etching. Finish : Hot rolled (HR), Cold rolled (CR), 2B, 2D, BA NO(8), SATIN (Met with Plastic Coated), Galvanized etc. titanium alloy gr.5 hot rolled plate stocks, titanium gr.5 coil manufaturer in india, titanium alloy gr.5 hot rolled plates dealers, hot rolled coil uses, titanium coils exporter in india, titanium plates exporter in india, titanium gr.5 sheet exporter in mumbai, titanium alloy gr 5 coils weight, titanium gr 5 sheet manufaturer in mumbai, ti gr 5 alloy cold rolled plate supplier, titanium alloy gr.5 coils price list, cold rolled ti alloy grade coils mechanical properties, ti. gr.5 profile dealers, gr 5 titanium coils, grade titanium plates, titanium alloy gr 5 shim sheets, astm b265 titanium alloy gr.5 circles exporter, titanium grade sheet supplier in mumbai, hot dipped galvanized titanium alloy coils, titanium grade plate price list, titanium gr 5 coils exporter in mumbai, titanium alloy gr.5 sheet supplier in india, titanium alloy gr.5 blank suppliers, titanium gr 5 sheet manufaturer in india, pre painted titanium gr 5 coil suppliers, gr.5 titanium sheet, titanium cold rolled coils supplier, galvanized titanium coil prices, titanium alloy gr.5 plate price list, galvalume titanium alloy coil, titanium alloy plates price india, 26 gauge titanium coil, titanium grade sheets price, titanium gr.5 sheet exporter in india, titanium gr 5 cold rolled sheet distributors, titanium alloy grade sheet price list, grade 5 sheets specification. Venezuela, Azerbaijan, Greece, Slovakia, Nigeria, Singapore, United Arab Emirates, Bolivia, Israel, Lebanon, Tibet, Macau, Qatar, Malaysia, Libya, Lithuania, United Kingdom, Mexico, Bulgaria, Kenya, Poland, Kuwait, Switzerland, Argentina, Costa Rica, Austria, South Africa, Germany, Belarus, Saudi Arabia, Egypt, Ukraine, Philippines, Estonia, Bangladesh, Belgium, Jordan, Nepal, Brazil, Italy, Gabon, Netherlands, United States, Afghanistan, Poland, Japan, Ecuador, Colombia, Croatia, Trinidad & Tobago,Tunisia, India, Kazakhstan, Zimbabwe, Spain, South Korea, Vietnam, Algeria, Sweden, Denmark, Indonesia, Ireland, China, Hungary, Portugal, Norway, Finland, Ghana, Mongolia, Czech Republic, Morocco, Hong Kong, Nigeria, Iran, Pakistan, New Zealand, Iraq, Turkey, Thailand, Gambia, Bhutan, Iran, Puerto Rico, Taiwan, Australia, Sri Lanka, Chile, Oman, Chile, Namibia, Peru, Bahrain, Mexico, Yemen, France, Angola, Russia, Romania, Serbia, Canada. Busan, Baroda, Kanpur, Noida, New Delhi, Ahvaz, Manama, Dallas, Kolkata, Los Angeles, Rajkot, Al Khobar, Toronto, Calgary, Caracas, Chandigarh, Granada, Bhopal, Riyadh, Indore, Ernakulam, Navi Mumbai, Ludhiana, Chiyoda, Cairo, Moscow, Port-of-Spain, La Victoria, Nagpur, Dammam, Karachi, Jaipur, New York, Surat, Sydney, Ahmedabad, Brisbane, Howrah, Mumbai, Bogota, Milan, Jakarta, Visakhapatnam, Montreal, Nashik, Melbourne, Vung Tau, Tehran, Algiers, Muscat, Madrid, Secunderabad, Hyderabad, Hong Kong, Lahore, Faridabad, Edmonton, Coimbatore, Mexico City, Sharjah, Houston, Singapore, Gurgaon, Istanbul, Pune, Atyrau, Gimhae-si, Perth, Abu Dhabi, Bangkok, Rio de Janeiro, Bengaluru, Petaling Jaya, Hanoi, Pimpri-Chinchwad, Ulsan, Chennai, Kuwait City, Al Jubail, Ankara, Aberdeen, Dubai, Lagos, Courbevoie, Seoul, Kuala Lumpur, Geoje-si, Doha, Santiago, Ho Chi Minh City, Vadodara, London, Thane, Haryana, Jamshedpur, Jeddah, Thiruvananthapuram, Colombo, Ranchi.